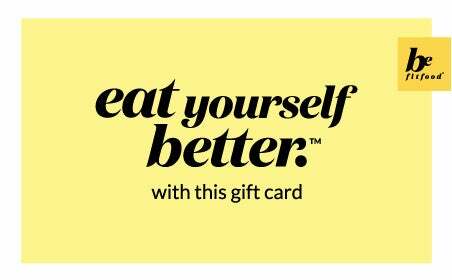 A Prezzee Be Fit Food digital Gift Card is the gift of healthy, fresh cooked meals that are delivered directly to the home or the office. Prezzee is a digital Gift Card platform that allows you to send an eGift Card in moments. You simply select the value you wish the Gift Card to represent, you then choose a greeting card to add to the gift, then include your custom message to send with the Gift Card. Prezzee Gift Cards are then sent via email or SMS to your someone special! A Prezzee Be Fit Food digital gift voucher gives your recipient access to scientifically formulated recipes to achieve various health and weight goals. 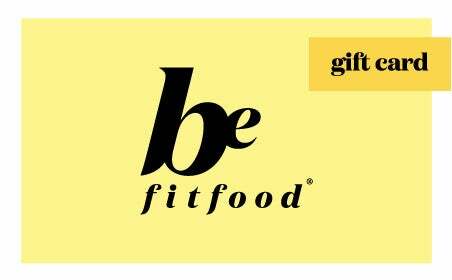 Give someone you care about the gift of health with a Be Fit Food eGift Card from Prezzee. Be Fit Food's home-delivered meal programs have been created with the philosophy that food is the first medicine. They use dietary science and real food to create delicious, nutritionally-complete, healthy meals that can help anyone achieve rapid, sustainable weight loss. You don't need medicine or fad diets to lose weight, you just need to eat yourself better. Buy your Gift Card now and we can send it instantly with a personalised greeting card from you. Your giftee will be able to redeem it straight away from any smartphone and receive delicious, home-delivered meals to their door. Depending on the program they choose, a $200 card can pay for a full week's worth of breakfast, lunch and dinner plus snacks and get them well on the way to achieving a healthier weight. No matter what or who you’re buying for, a Gift Card from Prezzee is perfect for a birthday, thank you gifts, Christmas, and much more. As a recipient you receive your Gift Card instantly to your mobile phone where it’s ready to redeem at anytime. Need to send Gift Card for work? Might be for staff rewards, EOFY, Corporate gifts or even a farewell gift to a colleague? Then check out Prezzee Business, you can send from 1-1000 Gift Cards out in a few easy steps, it is very easy - that’s our promise!